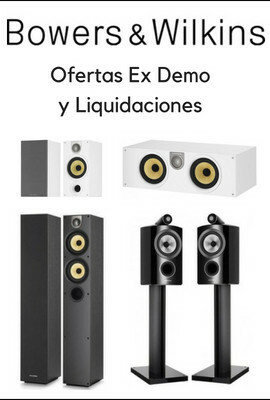 Altavoz de suelo, 3 vias. Puerto reflex trasero. 8 Ohmios. Varios acabados. Precio pareja. 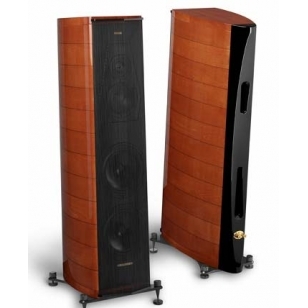 Specifications System Type: 3-way, floor-standing, reflex-loaded dynamic loudspeaker. Cabinet: Lute shape design, multilayer, constrained-mode damped enclosure formed using hand selected wood layers, quality graded and oriented for carefully optimized resonances control. Sub-structural ribs are strategically placed for absolute rejection of spurious vibrations. 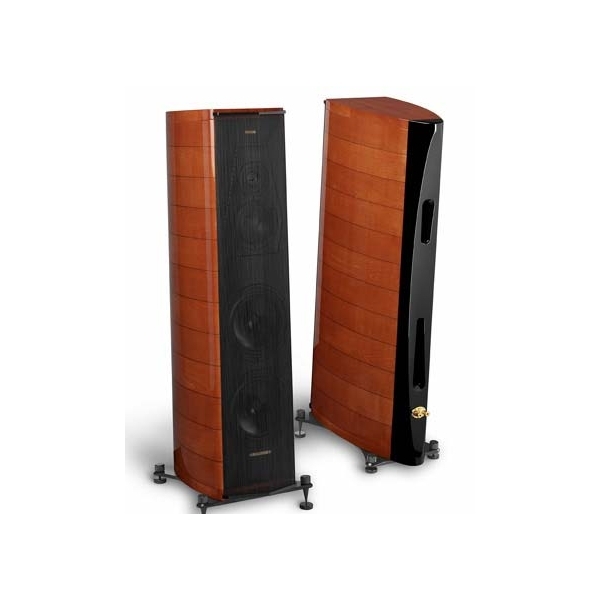 Woofers: Dual 8.5 in. (220 mm), lightweight Aluminum/Magnesium alloy cone drivers in an acoustically amorphous vented chamber. A dual Faraday copper ring long-throw motor system with a 1.5 in. “eddy current free” voice coil is implemented for an ultra dynamic performance and linearity. Unique ventilated phase plug, designed to remove cavity resonance and eliminate non-linearity. Midrange: 6 in. (150 mm), ultra dynamic linearity driver. CCAW/Kapton “eddy current free” voice coil. Dynamically linear magnetic field motor incorporating Kellog and Faraday rings. All moving elements optimally ventilated for “resonance free” response. Designed to function synergistically within its vented “acoustic chamber”. Tweeter: 1 in. (25 mm) ultra dynamic linearity ring radiator driver, with dual toroidal wave-guide front plate and a dual-cardioid acoustic labyrinth rear chamber, both used to eliminate any unwanted reflections and colorations. Crossover: Special multi-slope structure with optimized phase/amplitude response. The impedance at low frequencies is controlled to provide an easier load, permitting the use of a broader choice of amplifier. Proprietary silver/palladium alloy ribbon conductors are used in twisted pairs to allow superior coherency for the entire signal path. Crossover points are 350Hz and 4kHz. Frequency Response: 24Hz - 30kHz, tuning ports induded. Sensitivity: 92dB SPL (2.8V/1 m) Normal Impedance: 4 ohms Power Handling: 30W – 300W, without clipping Finish: Red violin or graphite piano gloss.